Q : How is it joining the Marvel universe? Q: Were you a Marvel fan prior to doing the role? Q: What did you have to do to prepare for your role? You’re playing a doctor. Did you do some research or was there anything specific you did? RM – “I’m a little funny when it comes to blood and guts and stuff like that. But my mom’s a nurse so I’d kind of grown up with, around medicine which is probably why I became an actress instead. I did get to shadow some amazing brain surgeons, a female brain surgeon in Toronto, another surgeon in London. And then we had a surgeon onset every day. So and he taught me to do sutures and was practicing on turkey breasts, raw turkey breasts. That was interesting. Oranges, that was a little more easier to take in my purse so I could practice wherever I went. Q: Onset, what was it like to be in scrubs with everyone else all in superhero stuff? Q: How do you prepare to get genuinely startled? Q: Your character is so intensely emotional in the film. How do you draw on that emotion for the character? RM – “Oh good question. I mean I do think having a mother as a nurse who’s so compassionate and she really unfortunately would take her work home with her sometimes. So, and I think Christine’s more that kind of character. I kind of grew up with that a little bit and have great admiration for people who do that for a living. So I suppose I drew from my mom a bit. Q: How did you go about getting this role? And when you found out that you got it what was your reaction? Q: Do you have a favorite moment from filming or from watching the film? Q: So we know that this movie won’t be the end of Dr. Strange, how do you feel about being further involved in the Marvel cinematic universe? And what would you like to see your character do if you had your choice? If Rachel could have a superpower, what would she pick? She’d want to be invisible so she could go in people’s homes and see their interior decorating! Rachel McAdams was the true sweetheart I saw her to be. She was kind, and funny. After the interview, she took a group photo with us. I sat next to her on the couch and told her that I was such a big fan of hers. I’m an even bigger one now! 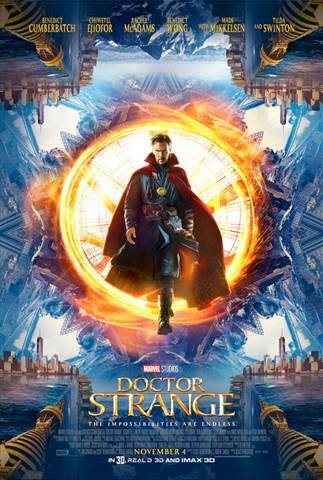 Doctor Strange will be in theaters everywhere November 4th. Check out the movie trailer below. 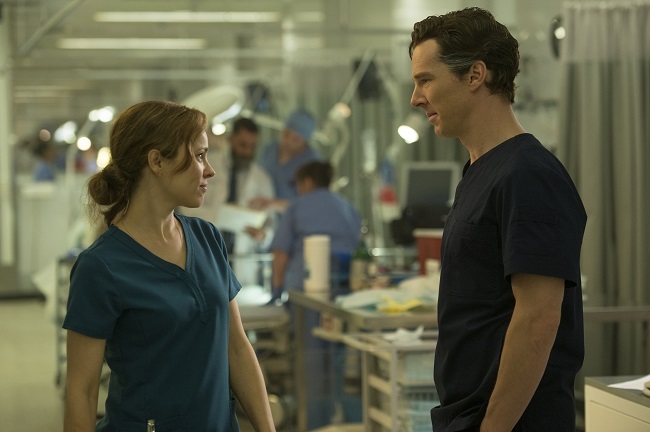 Did you miss the Benedict Cumberbatch interview? Great interview! I love her movies. 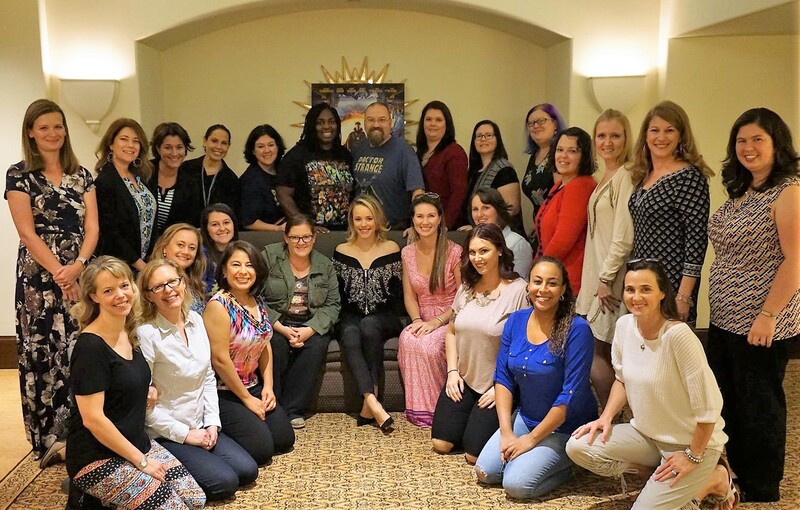 That’s so cool that you were able to interview Rachel McAdams! It sounds like she’s just as awesome and likable in person as she is on the big screen! That looks like a fun trip! I would have never guessed practicing on turkey breasts. I bet if you are aspiring doctor that is the first place to start. Looks like I have a new book “Do No Harm” for my list. I love Rachel McAdams in movies. This was a great interview with her. Thanks for sharing! What a great interview. I am super excited about this movie. We plan on going to see it on opening night. That’s so awesome that you got to sit next to her on the couch! You’re both sweethearts! It is always great to read about the people behind the art we love.It makes the movies, television or other art more enjoyable. I am not a Dr a Strange fan, but I do like Rachel McAdams! That looks like it was an amazing experience! What a great interview! I can’t wait to see the movie! I didn’t realize she was in this one! I love her! Can’t wait to see this one! What an awesome interview! I love Rachel! And I cannot wait to see this movie! How exciting! She is a great actress. That’s so awesome you got to meet Rachel!! I love her movies! That is so cool! Hey to be a fan, does she give out a fan based email or website?? There are so many fony websites for stars,curious to see if you have the real one? ?